This book combines the academic and practical exprience from a collection of authors. The content has been used, tested and refined over many iterations, and now serves as a primary resource for academic courses and pro­grammes around the world. 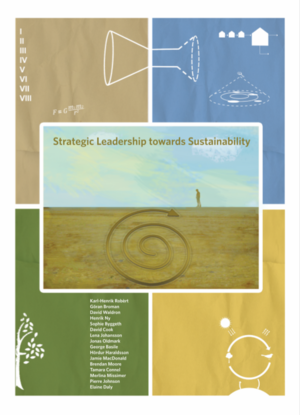 Any student or practitioner looking for more clarity on how to strategically plan and act towards sustainability in a structured, scientific, and collaborative manner will find value inside. Because of the generic nature of the Framework for Stra­tegic Sustainable Development, it can be useful for any discipline, from engineering, to product-service innovation, to business management, to urban and regional planning, and beyond. NOTE: The book will be sent to the address indicated at the checkout. Shipping costs are included in the book price.